All accidents are jarring experiences. Ones that comes out of nowhere, such as a rear end collision, can be even more destructive. Even a low-speed accident, which many rear-enders are, has the potential to cause significant and serious injuries. Much of this has to do with the fact that most victims are unprepared for contact and lack the ability to judge the drivers behind them. 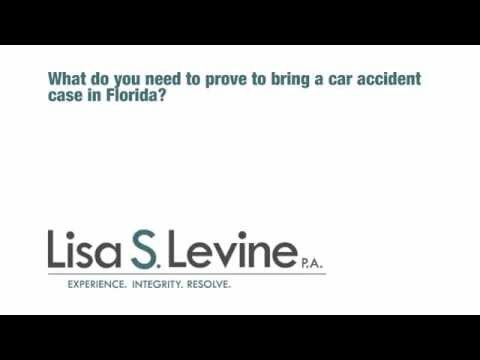 Contact a Fort Lauderdale rear end collision attorney any time you are involved in a rear end collision. If you have if you have been hurt in a rear-end collision, you may be eligible to be compensated for your damages. These damages are the resulting costs of negligence and can be awarded if you are able to prove negligence by the offending party through a preponderance (majority) of evidence. 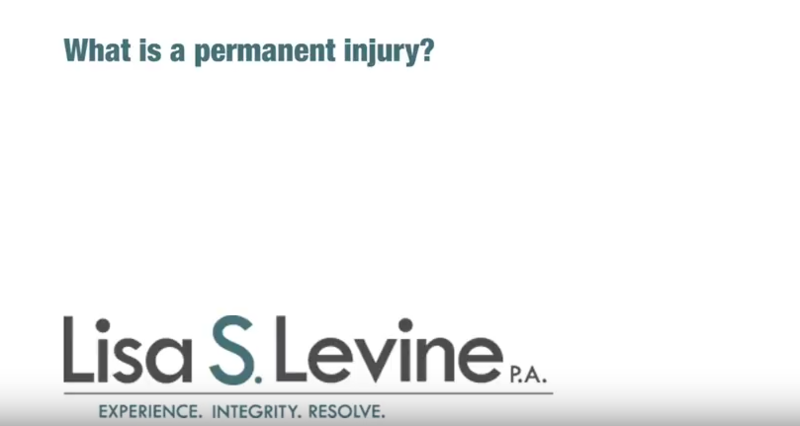 Time is of the essence when it comes to personal injury claims. You only have four years from the date of your accident to pursue your claim, so it is vital that you begin the process of developing a case as soon as possible. The best choice is to hire a qualified auto accident attorney in Florida who has the legal knowledge and experience necessary to effectively represent you and your interests. Our firm, Lisa S. Levine P.A. 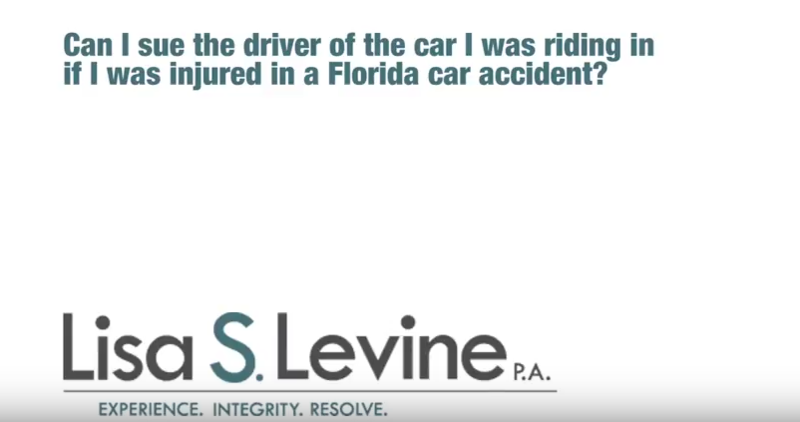 has a focus on auto accident claims and have spent years helping individuals and families throughout Southeastern Florida achieve their goals for many years, with strong results. Aggressive and honest, we look to prove negligence with facts and scientific evidence, and will not allow the defendants and profit-driven insurance companies use subversive techniques to keep from giving you your just compensation. As a Fort Lauderdale practice, we offer our legal services to individuals and families throughout Southeast Florida, including the cities of Fort Lauderdale, Weston, Plantation, Sunrise, Pembroke Pines, Coral Springs, Miramar, and Davie, among many others. Our firm also offers free consultations to go over the details of your rental car accident case in a relaxed, judgment-free setting. 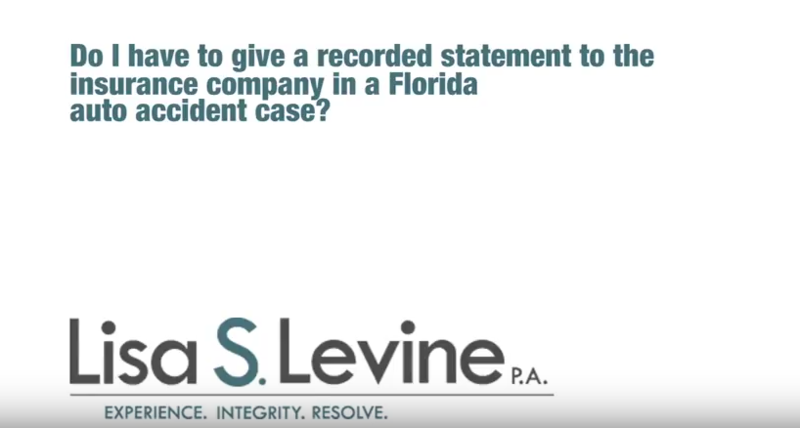 In order to get started on your case as soon as possible, schedule a time to meet with a qualified attorney, by calling (954) 256-1820 or sending an online message today. Driving while under the influence of drug or alcohol. Talking on a cell phone. Soft tissue injuries, such as whiplash or disc damage in the cervical vertebrae when the head is snapped forward then suddenly back. Ankle and knee injuries, commonly cause by flexing legs and preparing for impact. Severe injuries to the head and face, resulting from air bag deployment or a blunt force contact. 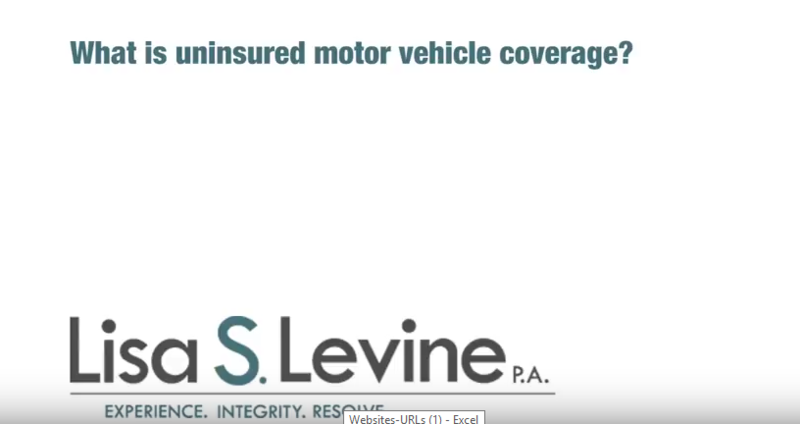 Duty – The plaintiff or the injured party must be able to prove the defendant owed the plaintiff a duty to act with reasonable care when operating their car. This is a general duty and is required by every driver who operates their vehicle. Breach – The plaintiff must also prove the defendant breached their duty by failing to act with reasonable care when operating their vehicle. Damages – The plaintiff must have suffered some form of injury as a result of the defendant’s conduct. Examples of damages that you may be eligible as a result of your injuries include pain and suffering, medical bills, rehab costs, mental anguish, loss of job, reduced earning capacity and permanent disability. If you have been injured in a rear end collision that was caused by the careless or reckless actions of another, our firm is ready and willing to help you prove wrongdoing and hold the offending party accountable. We are deeply committed to protecting your rights and financial interests at a time when it seems like it is you against the world. We at Lisa S. Levine P.A. are well aware that the litigation process can be extremely complicated. Uncooperative defendants and insurance companies that are only interested in their bottom line will make these legal proceeding even more difficult. With the help of our experienced legal team, you can approach this situation with confidence. We will work towards finding the best possible solution to this issue and will not stop until we do. As a Southeastern Florida legal practice, we are centrally located to provide representation to individuals and families throughout the cities of Weston, Fort Lauderdale, Tamarac, Lauderhill, Deerfield Beach, North Lauderdale, Sunrise, and surrounding areas. No matter the severity of your case, we will always make your goals our top priority and pursue them vigorously. We pride ourselves on quick response and timely representation, and we will immediately get started on your case following an initial consultation. 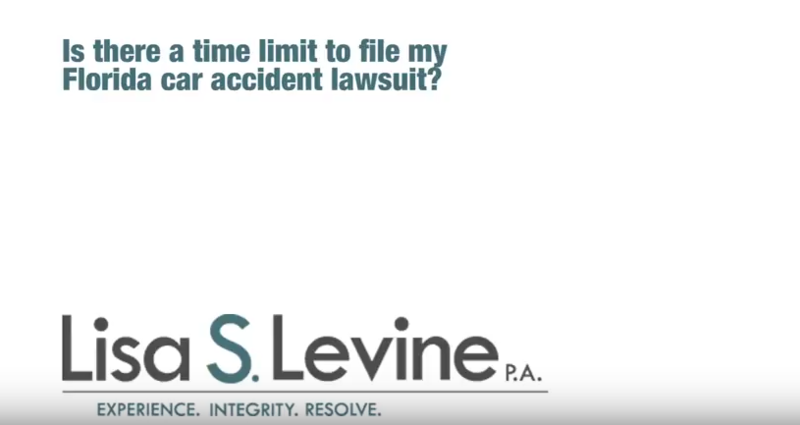 To schedule a time to meet with one of our attorney to go over the specifics of your rear end collision claim, please call (954) 256-1820 or send an online message.